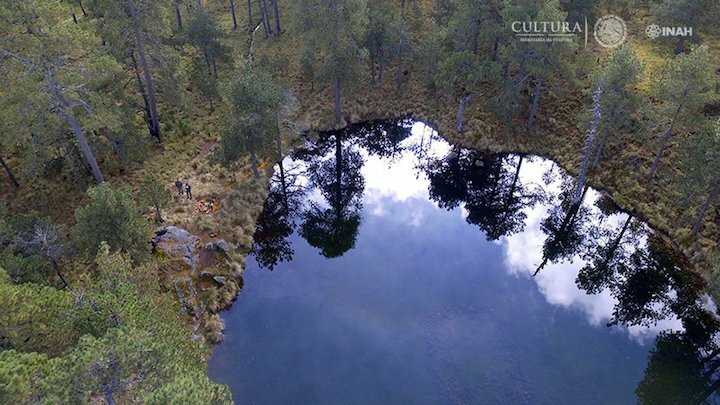 Located on the foothills of a volcano in the middle of a pond, the "Tetzacualco" (a name that can mean "stone enclosure") has been known to explorers since the 16th century. Since that time, both amateur explorers and professional archaeologists have investigated the structure, putting forth a variety of ideas as to what the structure was used for and when it was built. Made of numerous stones, it's about 37.7 x 32.2 feet (11.5 x 9.8 meters). 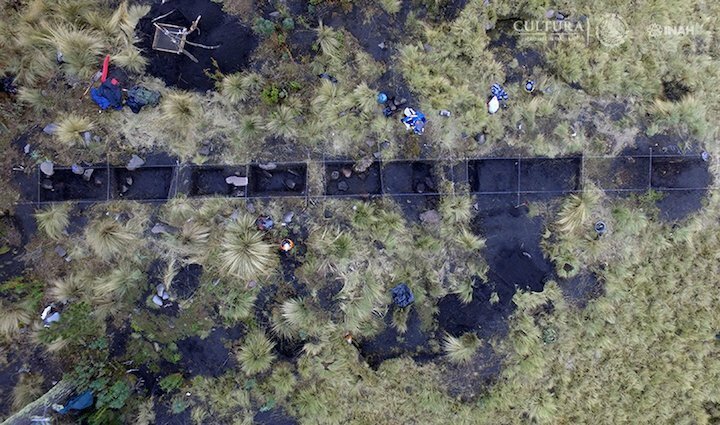 A new series of excavations, led by Iris del Rocío Hernández Bautista, an archaeologist with Mexico's National Institute of Anthropology and History, or Instituto Nacional de Antropología e Historia (INAH), aims to be the most intensive investigation of the Tetzacualco ever conducted. In preliminary findings, Hernández Bautista's team announced in a statementthat at the site, they discovered pottery and stone artifacts that date back over 1,000 years. The team also found evidence that ancient Mesoamericans tried to irrigate the pond where the Tetzacualco resides, making sure it never ran out of water, even when there was little rain. 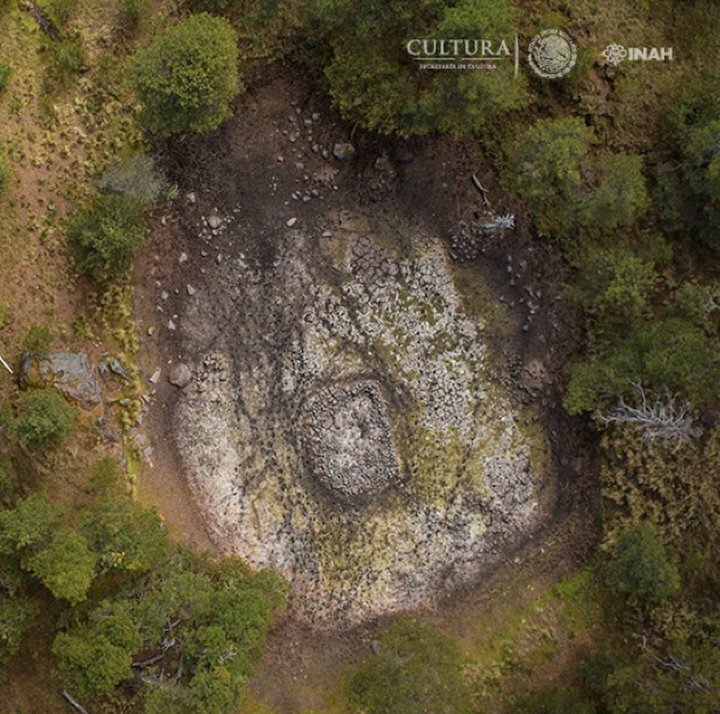 The stone structure called Tetzacualco is located within a pond (bottom of image) on the foothills of a volcano in Mexico. Given what the archaeologists have found so far, Hernández Bautista hypothesizes that the Tetzacualco's large size and location in the middle of a pond mean that the structure is an attempt to represent a mythical creature known as Cipactli or Çipaqli, a fish monster from which the gods created the Earth, according to some ancient Mesoamerican legends. One version of the legend was recorded in the 16th century by a Spanish priest named Andrés de Olmos and claims that four gods "made the water and created in it a great fish similar to an alligator which they named Çipaqli, and from this fish they made the Earth" (translation by Henry Phillips Jr.). Though some media outlets reported that the Tetzacualco was constructed by the Aztecs (a Mesoamerican culture that flourished between 1300 and 1500), the artifacts that the archaeologists recovered indicate that the structure was created at least three centuries before the Aztecs by an even earlier Mesoamerican culture whose identity is not yet clear, according to the statement from the research team. So far the team has uncovered pottery, stone artifacts and organic remains that date back over 1,000 years. Nor is it clear how long the Tetzacualco was used or what kind of ceremonies took place there. During the 16th century, Juan Bautista Pomar, a writer in Mexico who was of mixed Spanish and Native Mesoamerican descent, claimed that the Tetzacualco was in use up until that century and that children were sometimes sacrificed there. Bautista Pomar claimed that the Tetzacualco had a statue that depicted Tlaloc, a Mesoamerican god of rain, that "has its face towards the east," and that those in charge of the Tetzacualco "made sacrifices of innocent children to him [the idol depicting Tlaloc] once a year." (Pomar's statement was translated by Leon García Garagarza in the book "Mesoamerican Memory: Enduring Systems of Remembrance" (University of Oklahoma Press, 2012), by Amos Megged and Stephanie Wood. So far, the INAH team has not found any humans remains at the Tetzacualco, although excavations are in progress.